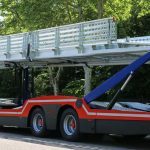 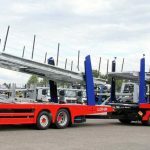 The TrSP 25.25 is a car transporter destined for countries where the road regulations allow a length of 25.25 m.
It is particularly suitable for Scandinavian markets and is designed to withstand extreme weather conditions. 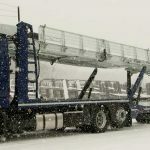 As it can be equipped with optional hydraulic extendable walkways on the upper platform, the TrSP 25.25 makes loading comfortable and completely safe. 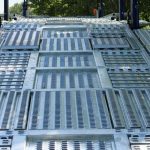 It can be covered with a tarpaulin for better protection of the load. 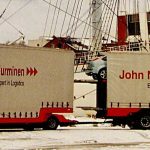 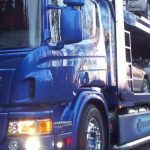 It consists of long wheelbase body, a dolly and a European code semi-trailer.